In preparation for Spring, I’ve decided to do some closet cleaning. I tend to hold onto clothes for way longer than necessary. I was able to gather A LOT of items to donate to Goodwill. There’s something about Spring cleaning that is therapeutic and leaves you feeling more positive. Letting go of the old to make room for new things is the way that I look at it both mentally and physically. However, there are always pieces that don’t end up in the Goodwill bag. I wanted to share some of those items that did make the cut during my cleaning binge! 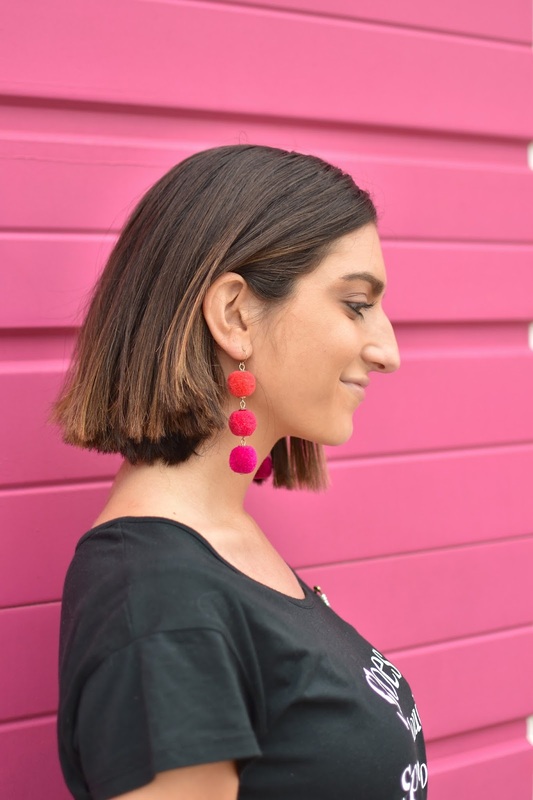 The Pom Pom and tassel trend was huge last Summer and it doesn’t seem to be going away anytime soon. These were definitely a must-keep for me because they’re fun, colorful AND lightweight (always a plus for statement earrings). Okay I have to admit, I’ve had these heels for two and a half years now and they are one of my favorite pairs! Aside from being comfortable, they are also versatile and can be worn to work as well as for a night out. Again, the white shoe trend is huge this year, so these babies will not be leaving my closet anytime soon. White is also such a classic color, making these pair well with different outfits. When it comes to purses, if you’re like me, you have your everyday purse that you wear until it either breaks or you get sick of it and need a new one. You also probably have other purses that you pair with different outfits or for special occasions. I always like to keep neutral color purses in my closet because they go with just about every outfit. 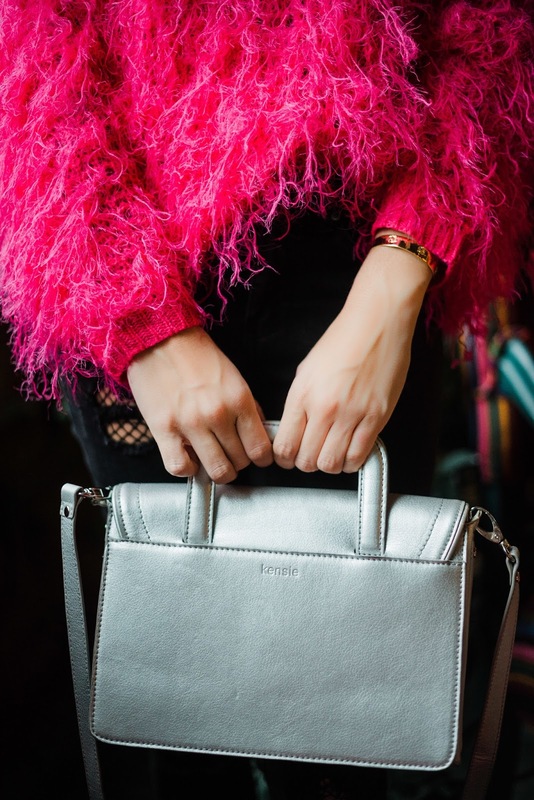 This silver Kensie purse is the perfect example of a bag that can compliment just about every outfit. Have you started Spring cleaning yet? Let me know which items made the cut in your closet!